Google launched Gmail more than 15 years ago, and nowadays it has over 1.2 billion users — which makes it one of the biggest email providers on Earth. it’s probably very messy for a majority of users. 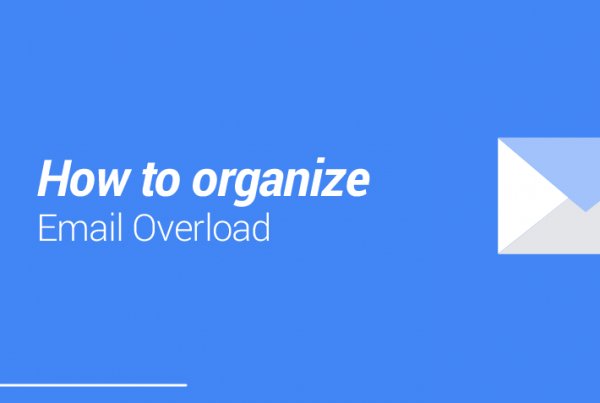 Whether features are native or third-party, there are several solutions you can use to organize Gmail. Just keep in mind that everything was made to help you, so they need you to do your part as well. 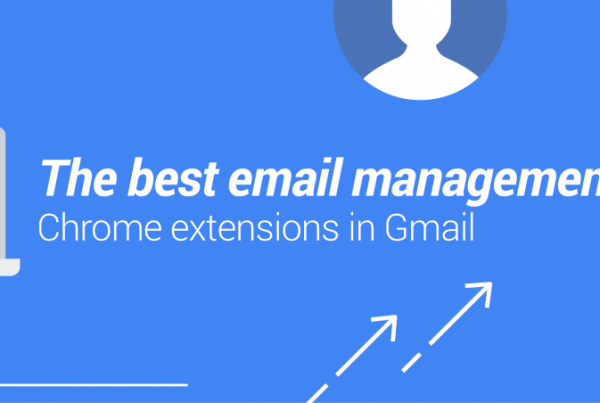 Gmail is an incredible tool that many people don’t use as efficiently as they could, so become a boss of your inbox and see your work grow exponentially. Send emails to share a contract. Receive an email back with a rating for your customer support. It is unavoidable, if you run a business, or work in any company, your email will end up being your hub network for every other tool. So why not keeping your tasks organised there? Although many softwares do great works to help you out, there are also native tools available to organize your inbox, such as folders, labels, and tabs. Tabs: tabs are the categories of your messages, so if it comes from a newsletter, or a friend, they belong in different categories, for instance. Once you categorize your messages properly, you’re much more capable to keep this organisation in the future. It’s not a secret to anyone. However, people unconsciously get attached to their messages and never let go of them. Letting emails go is a natural part of the process, so don’t think too much about it and just let go of them. After all, more emails will come, and old emails won’t be used anymore. Another thing that people get tricked into all the time is the time spent in email. Although it may sound simple to be quick with your messages, many users still spend huge amount of hours daily dealing with their inboxes. Scheduling times for Gmail is very easy, you simply need to turn off notifications and schedule 15 to 30 minutes time slots during your day — you can start doing it 3 times a day and then going to 2, or even only one. You’ll see the difference it makes. You usually see Kanban in tools such as Trello, that were made to organize and visualize your tasks, but as tasks usually come and go via email, wouldn’t it be awesome to have them straight in your inbox? Gmail as it is can be very hard to visualize. 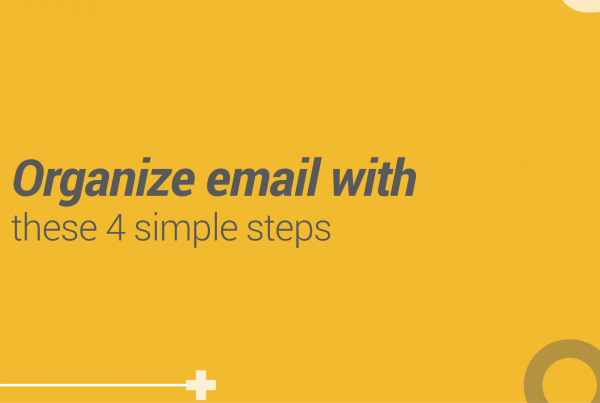 Many tools and extensions exist online in order to make email look easier for you. Kanban is one of them, and I personally believe it’s one of the best ideas ever tried for email. 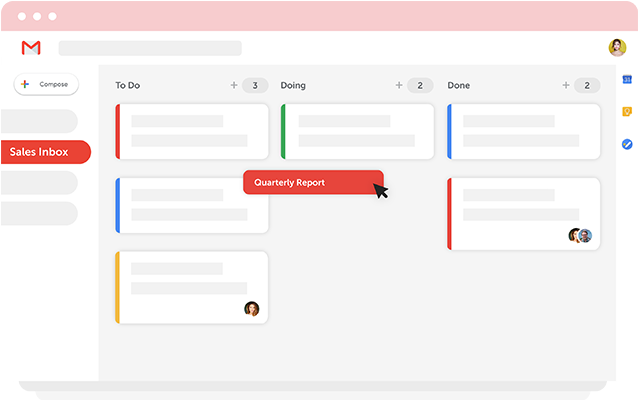 It turns your inbox into this board with lists, so you can drag and drop them around, creating workflows and organizing messages as tasks, which is very handy. Boomerang allows you to send emails later, so if you remind of something you only need to do in the future, you can do it now and don’t worry about it anymore. WiseStamp allows people to create and manage email signatures from Gmail and making it visually available on all email platforms – no coding needed. Grammarly is an extension that helps you not only improve your writing, but also suggests improvements on best manners, word choice and style based on who you’re writing to. There are many different ways to organize your email, check out which one is better for you and go for it. Another important part to keep in mind is your discipline, so focus on what you’re doing and create habits around it. Before you see it will become an automatic thing for you to do. 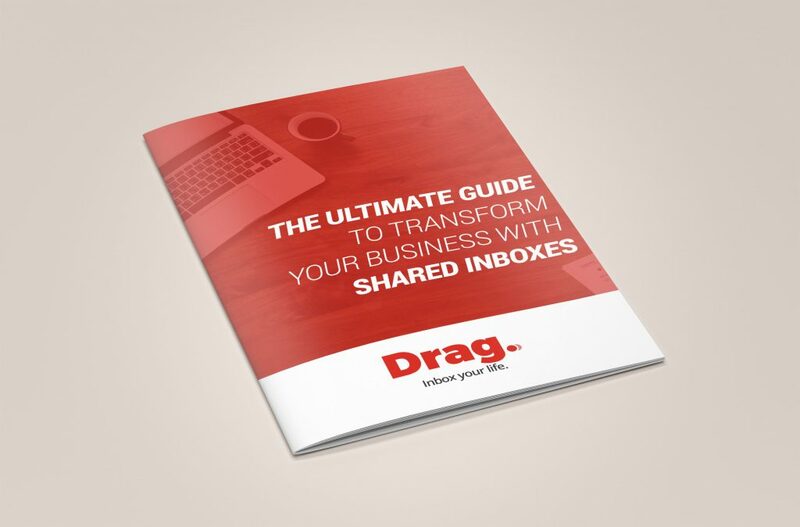 Organizing your inbox is very simple, but it might hide some traps sometimes. Which is why you need to be aware of tips that can make things much easier. Also, by centralising your team’s work in a single place, your processes get quicker. Consequently, your customers get happier and your company sell more. We truly believe that current solutions don’t solve the problem as well as it can be solved. This is why we’re introducing Drag as a disruptive tool, working straight from your Gmail inbox as a collaborative and visual tool.